Dr. Julie Gaubatz is a high school science teacher and science department chair at Hinsdale South High School in Darien, Illinois. Her experiences in biomedical research and secondary/middle-school education have contributed to her scholarship on inquiry in the classroom and leadership in science education. 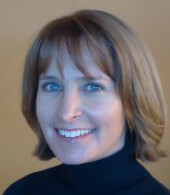 Dr. Gaubatz’s recent publications include journal articles on critically examining and refining secondary science curricula, leadership advice for early-career science department chairs, and contributions to a book (in-process) investigating how leaders create conditions that support teachers implementing inquiry-based classroom learning. Dr. Gaubatz has also presented on these and other topics in numerous local and national professional conferences (Illinois Regional Offices of Education, ISTA, NSTA, ISELA, NSELA) and in consultations with professionals engaged in educational leadership and science education. Dr. Gaubatz has 19 years of science teaching experience, ranging from teaching 7th grade life science at a school specializing in students with learning difficulties to college-level Immunology and Pre-Medical Chemistry. Most of her career, however, has focused on teaching, researching, and leading high school science programs in both Illinois and Texas. Dr. Gaubatz received a bachelors degree in Biology with a minor in Chemistry from Maryville University, a Masters degree in Integrative and Cellular Biology from Northwestern University, a Masters in Curriculum and Instruction with an emphasis in Science Education from the University of Houston, and a Doctorate of Education in Curriculum and Instruction with an emphasis in Leadership from Loyola University Chicago. She lives in Chicago, Illinois with her husband.